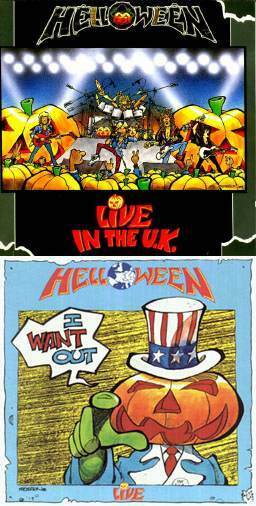 Helloween Releases "Live in the UK"
Live In the UK is the first live album released by the band Helloween. It was released in some countries as Keepers Live. In the United States, it was released as I Want Out – Live without the track "Rise and Fall", and with a shorter edit of the introduction. The album was recorded in Edinburgh, Scotland and Manchester, England in November, 1988. This is Helloween's only official live album with Michael Kiske on vocals. This is also the last album made with Kai Hansen.